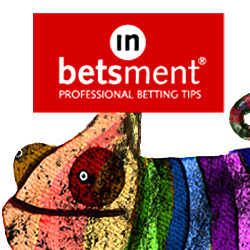 There are so many different types of bets you can place with bookmakers it can be confusing if you are new to betting, and the seemingly endless jargon can be intimidating. That is why Honest Betting Reviews is breaking down both different types of bets and betting terms to help you understand what kind of bets you can place, and what kind of bet best suits what you want to bet on. So what is a round robin bet? The easiest way to explain it is by using an example. Say you fancy three football teams to win their respective matches on a Saturday afternoon, and you think ‘well, I am pretty sure two of these results will happen and I am reasonably confident about the third happening, but I am hesitant about betting on it in case it messes my other two bets that will win me something’. This is where a round robin helps. You may have heard the name round robin before from sports you have participated in yourself, or from your team’s involvement in a particular competition. A round robin in these terms is simply when each team or individual in a group plays each other once. A perfect example is the World Cup, where there are four teams in a group in the first stage and each team plays each other once. How do you place a round robin bet? The same idea applies to round robin bets; if you choose three teams or individuals you think will win, with a round robin bet the bets will pair up so each team will be placed in a bet with another team, giving you three different bets altogether. So if you place a round robin bet on teams X, Y and Z, the pairings would work out as XY, YZ and XZ. Obviously, round robin bets get a little more complicated if you want to place one on a larger number of teams or individuals, but bookmakers are prepared for that as they have complex algorithm calculating machines to work out the permutations for any number of selections in a round robin bet. Naturally, the selections you make the higher the stake you will have to place, so bear that in mind if you are consider placing a round robin bet on, say, an entire weekend of Premier League fixtures. Why place a round robin bet? The benefit of a round robin bet is that you are covered for one out of your three selections not winning, so if it turns out you had good reason to be hesitant about one of your selections, no worries – you will still have won something. If the selection you were unsure about wins but one of your other selections does not come in, even better – that means you will have won more if the former selection had longer odds than the latter. So there we have it. If you would like to find out about other types of bets, check out the other Honest Betting Reviews guides for explanations that will help you work out what wagers you can place and when you should place them. Fancy making up to £500 per month risk free? Then check out this top betting product right now. Max Racing Tips – Final Review What is Betfair Commission?